An education that is timeless and enduring differs from one that is simply old for the sake of nostalgia. Instead, a truly classical education stands on the shoulders of those who have gone before us and engages in the "great conversation" that continues from one generation to the next. Classical education is focused on the ultimate "end" (or goal) which is eternal life for the human soul with its heavenly creator. In order to accomplish this end, we strive to form the whole human person so that they can be receptive to truth, as the ultimate purpose of education is the pursuit of truth. From the truth of academic subjects students move to the truth of faith and finally to the eternal Truth, who is our Heavenly Father. We believe that a Catholic classical education provides the best education possible for a child and the surest way to discover truth. Classical teaching methods and the early integration of Latin from the first grade help students to learn faster and move ahead of their non-classical peers in most subjects. This prepares them to be advanced learners in high school and college, where classically educated students score in the top 10-15 percent on college entrance exams. In addition, the study of Latin helps students acquire the building blocks of English and develop a more extensive vocabulary and a better command of English grammar, which leads to more effective reading, writing, and speaking, as well as the ability to quickly pick up other languages. Saint Benedict School’s classical education curriculum can benefit almost any student, not just those inclined to academic pursuits. Children gravitate to the classical method because it builds on their natural intellectual curiosity. The classical approach nurtures students’ intellectual and spiritual potential, inspiring them to want to learn; it teaches them logic, reason, and critical thinking, showing them how to learn; and it holds up examples of good citizenship and moral and virtuous behavior, demonstrating why they learn. Classes are naturally integrated so students see the relationships between what they are currently learning in math or Latin, for example, and its relevance to what they have already learned in science or history. This natural integration gives students a greater understanding of their subjects and helps them to permanently retain lessons they learn, instead of just memorizing facts, repeating them for a test, and then forgetting them soon after. The classical approach was the dominant method for teaching for centuries up until the early 1900s. While many modern educational approaches have failed to educate students better than their predecessors, returning to the classical approach is about returning to what works, not returning to the past. The oft-cited decline of modern education has prompted a renewal of classical learning. 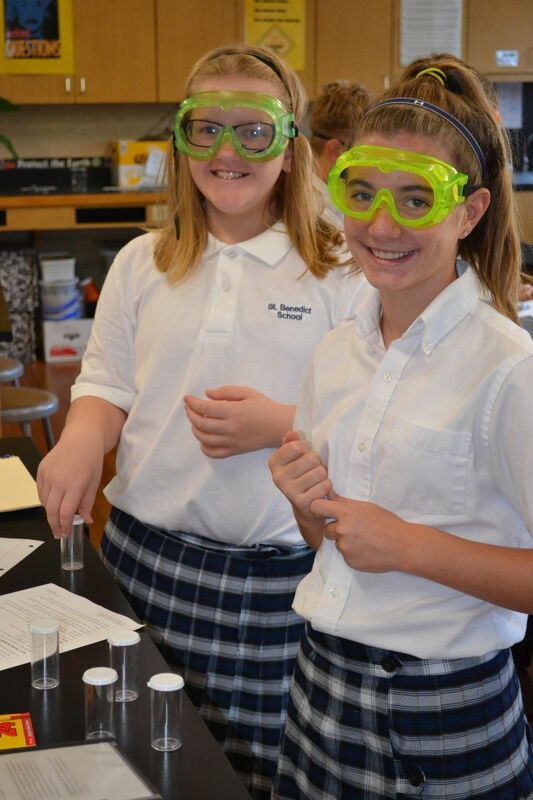 What you will find at Saint Benedict is a teaching system based on more than 2,000 years of experience. While students learn the fundamentals – math, history, science, English, and theology – they also learn at the feet of the giants of history by studying the classical literature, language, art, music, and philosophy of ancient Greece and Rome and the long Western intellectual tradition that was built on their foundation.